Brumfield-Woods’ artwork explores visual perception, pattern, space, and volume Subverted simultaneously responds and confronts the historically male-dominated tendencies of the Light and Space movement, which has deeply influenced her practice. By employing glitter as a medium, Brumfield-Woods activates the ephemeral perception of each artwork and gives it a sui-generis feminine touch. The viewer thus can enjoy the work, while deeply engaging with the optical perception that she brings to the forefront of each composition. It's Not Your Vault, for instance, can be read as direct decedent to Who’s Afraid of Red, Yellow, and Blue, an installation by Robert Irwin as presented in his own retrospective at the Museum of Contemporary Art San Diego in 2007. By softening the still primary color palette and shifting the work on its axis, Brumfield-Woods shows it’s feminine side, as she flattens the work and bestows upon it a sense of intimacy only shared by those who witness the work closely. 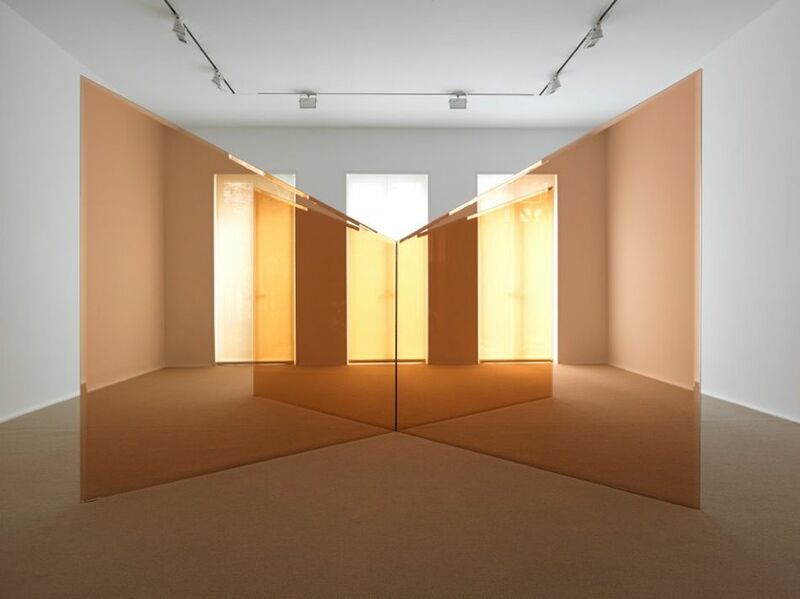 Whereas Blue Diamond, and White Diamond, have a closer relationship to that of Larry Bell’s Untitled Trapezoid Improvisation created in 1983, Pelt explores the aesthetic reality of Larry Bell’s latest work such as L.K.L. made in 2013. Thus Brumfield-Woods’ work is in constant conversation with that of other California artists, such as Larry Bell, or Robert Irwin. Provoking the existing conception of contemporary Op-Art. Subverted exhibits a carefully curated selection of paintings that explore color theory, and the aesthetic opticality of light and space through a series of geometric abstractions, vibrant colors, fur, and glitter. Subverted marks Brumfield-Woods first solo exhibition at Taj•Art Gallery.